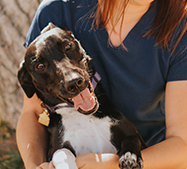 Wellness means achieving and maintaining the overall good health of your pet through on-going care, preventative medicine and special treatment techniques. 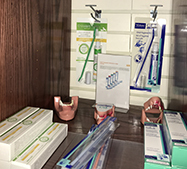 Annual Exams and Dental Care allow for early detection of potential health risks. Vaccinations and parasite control provide protection from diseases, discomfort and other health hazards. We provide Microchip placement and scanning for ease of mind. 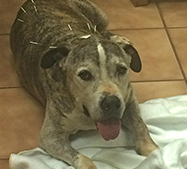 And to round out our wellness services we also offer Acupuncture for the health and happiness of your pet(s). Annual wellness examinations are very important for your pet’s health and happiness. Wellness exams allow our veterinarians to discover any potential health risks and/or problems that may otherwise go undetected. Our veterinarians approach each wellness exam based on the age, breed and gender of your pet. APHEC is devoted to ensuring that your animal companion(s) lives the healthiest, happiest life they can. Laboratory testing as needed (lab fees extra)•Comprehensive consultation and individually designed health plan for each pet based on individual needs. Research has shown that the immunity triggered by some vaccines actually last longer than a year and most universities are recommending tailoring schedules to maximize each patient’s immune responses and minimize potential complications. For our recommended vaccination schedules please see links below. 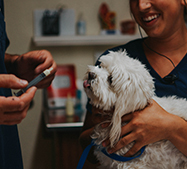 The doctors at Atascadero Pet Hospital & Emergency Center are constantly researching the latest in schedules and vaccines to keep your pets safe. 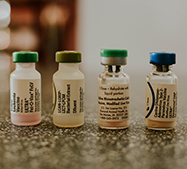 Some vaccines chosen by our facility are given in the form of nose drops or special jet spray to avoid injections and some are specially produced to maximize effectiveness and safety. The risks from vaccines are generally outweighed by the risks of diseases. Note: Just as we see a doctor for a physical annually in an attempt to detect any early signs of possible problems, so should our animal companions. We feel that preventative medicine is an integral part of maintaining any healthy, happy life. This begins with wellness examinations, vaccinations and parasite control. 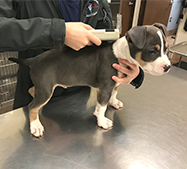 Our doctors will perform a full head to tail examination prior to administering vaccinations and can answer any questions you may have at that time. Kitten will be vaccinated every 3-4 weeks until 12 weeks of age with a minimum of 2 FVRCP’s given between the ages of 8-12 weeks. FeLv can be given at 9 weeks. Also Recommend FeLv/Fiv test at this time. Rabies can be given at 12 weeks. Puppies will be vaccinated every 3-4 weeks until 16 weeks of age with a minimum of 2 DHPP’s given between 8-16 weeks. Rabies can be given at 16 weeks of age. 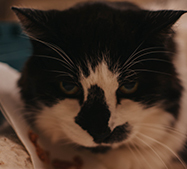 If your pet is ever lost, a microchip can help to bring them home again. This tiny chip (about the size of a grain of rice) can be scanned at shelters and veterinary hospitals worldwide. If your pet is brought to a facility without an owner the pet is scanned for a microchip. This way we are able to locate you, even without a collar or with a faded tag, and reunite you with your lost pet. 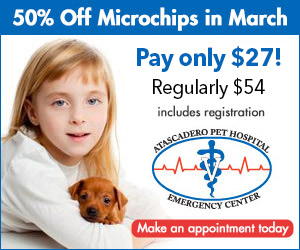 A microchip is implanted under your pet’s skin, which is similar to administering a vaccination to your pet. Each microchip has a unique code which, once registered, will be linked to your pet and your contact information. Preventative dental care is very important for your pet’s health. During your pet’s annual wellness examination our veterinarians will perform a dental examination as well. The most common and serious dental problem of neglected dental care is Periodontal (gum) disease. The disease is caused by build up of plaque and calculus below the gum line. Calculus gets deposited on tooth surfaces, causing the gums to recede, and then bacteria pockets to form. The bacteria infect the gum tissue, as well as the roots of the teeth. Eventually the affected teeth will fall out. The bacteria can mechanically reach the throat and cause respiratory infections and coughing. The bacteria can also enter the blood stream through blood vessels near the gum and infect organs elsewhere in the body. Removing plaque before it forms tarter is the most important step in preventing periodontal disease. Plaque that can not be managed with at home care requires a dental cleaning and polishing, which will require general anesthesia. Acupuncture is a treatment technique where metal needles are inserted into the patient at specific locations (acupuncture points) to treat and prevent disease. 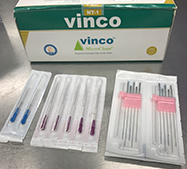 It is being used successfully in conjunction with western veterinary medicine, especially when traditional methods have failed. Although used for thousands of years in China, its use is relatively new in this country. Acupuncture is best known to relieve pain, but is also helpful to restore mobility in pets with osteoarthritis and spinal disease. To determine if acupuncture is appropriate for your pet, your pet’s condition should be thoroughly evaluated. Blood tests, radiographs (x-rays), or other laboratory tests may be advised to determine if acupuncture is the best form of treatment. Chronic pain relief requires a series of acupuncture treatments. Periodic treatments (usually every few months) are generally required after the first series of treatments to keep your pet comfortable. Acupuncture does not necessarily cure a given disease. For instance, acupuncture does not cure arthritis, but rather diminishes the pain of arthritis.